Charter a private plane to Edmonton, the capital of Alberta and the 6th largest metropolitan area in Canada. 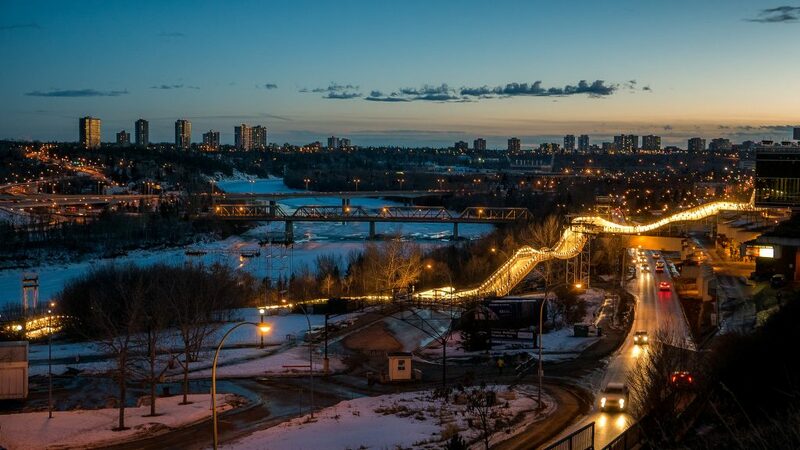 Edmonton is located on the North Saskatchewan River, and is famous for its beautiful parks, the North Saskatchewan River Valley, wildlife, and city views. It’s also home to the largest mall in North America, and hosts a variety of festivals, sports team, and recreational activities year-round. ACA arranges Edmonton jet charter service to/from any destination in the world, and we offer access to thousands of private jets, turboprops and airliners based at your local airports. Enjoy quotes without any hidden fees, memberships or other charges, fly in as little as 4 hours, and enjoy competitive rates on all domestic & international routes. Wyvern-certified, our company applies some of the highest safety standards in aviation, performing our due diligence before every flight by reviewing third-party safety audits. We eliminate any operators, planes and/or pilots that don’t fit within our standards, matching you to the best possible aircraft and flight crew for your charter flight. Available 24/7 with services extending around the globe, including medical flights, VIP service, private jet management, aircraft acquisitions, air cargo, jet card memberships, and group charter flight for executive offices, sports teams, special events and more. Call us at 1-888-987-5387 or e-mail us your trip details and book your private jet charter flight to Edmonton, Canada. Choose between 4 airports within 20 miles when chartering a private flight Edmonton. The main gateway for private jets is Edmonton International (CYEG), offering 3 private terminals with travel services for passengers, pilots, and planes. Villeneuve (CZVL) is another popular choice for business jets, located just 25 miles from the city center and equipped with 2 runways, one measuring 5,001 feet, and 2 FBO terminals. Fly private to Edmonton, the capital city in the Canadian province of Alberta known as the “Gateway to the North”. The city earned the nickname dating back to its time spent distributing mail, food, and medicine to Northern Canada, and it’s the staging point for huge oil sands projects in northern Alberta and diamond mining in the Northwest Territories. 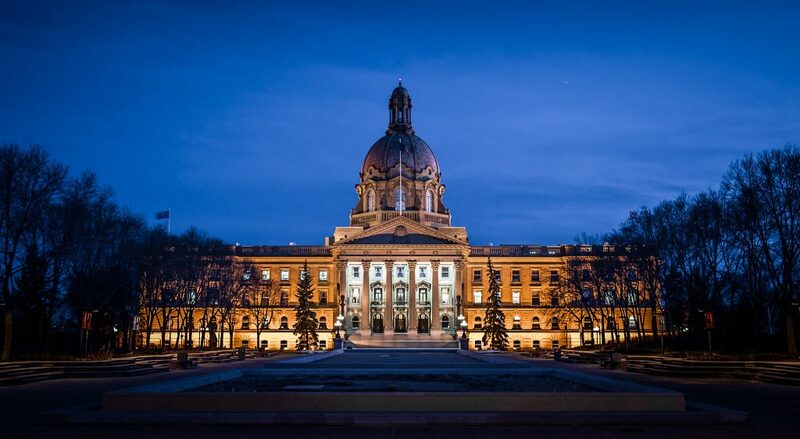 Edmonton is an important cultural, governmental and educational city in Canada, and it’s metro area is home to over 1.3 million people, making it the nation’s 6th largest metropolitan area. It’s also the northernmost city in North America with at least a million people, and it anchors the northern end of the Calgary–Edmonton Corridor. Home to a vibrant theater community, a busy calendar of festivals & events, and West Edmonton Mall, the largest shopping mall in North America, Edmonton is a great city to visit with a private charter flight year-round. 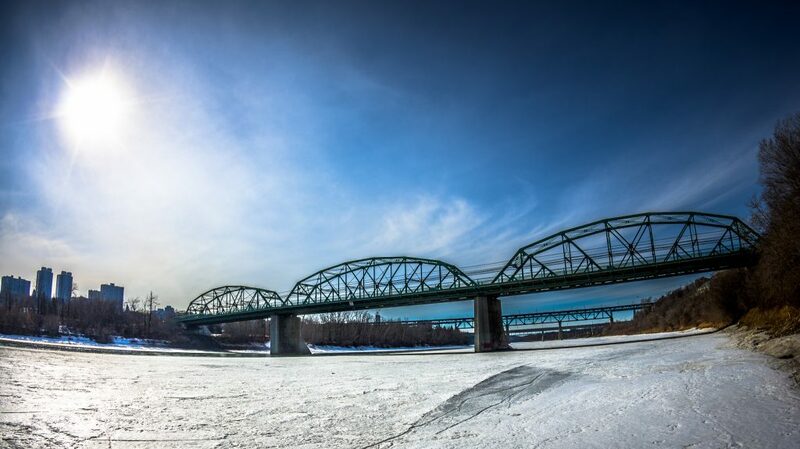 The holidays offer when a ton of opportunities winter sports and and other recreational activities, and the North Saskatchewan River Valley offers more than 100 kilometers of hiking trails, wildlife, views of the skyline, and Fort Edmonton Park, Canada’s largest historical park. Clients can choose from the following private planes when arranging their charter flights to/from Edmonton, or any destination around the world. We’re not limited by any fleet, offering instant access to aircraft in your area and competitive quotes for every flight. Give your trip details to one of our private jet charter brokers, and we’ll find the most ideal options for your flight based on date/time, distance, routing, passenger count, baggage, and other factors. All of the planes we arrange are operated by Part 135 or 121 (or foreign equivalent) air carriers, and we use two pilots with high levels of experience. There are 5 more airport options located between 30-50 miles from downtown Edmonton, offering flexible arrival/departure options and potentially lower charter costs. These airports are suitable for turboprops and piston aircraft, and may not be available to private jets. Request a Quote or speak with one of our brokers by calling us at 1-888-987-5387. We can arrange the perfect charter flight with direct access to thousands of private jets, turboprops and airliners located around the world. Enjoy private flights on a wide variety of sleek, efficient business jets with all-inclusive quotes and competitive pricing. We have years of experience flying a variety of clients ranging from heads of state and celebrities to leisure travelers and top business executives.